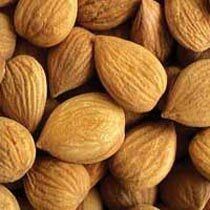 We are one of the main Suppliers of Bitter Apricot Kernels in India. We are also Single collector, producer and Exporter of Bitter Apricot Kernels from the main source of production, the paradise valley of Kashmir in India. We are interested in establishing long term business relationship with reliable industries and companies who are in search of reliable permanent supplier and main producer of Bitter Apricot Kernels. This premium-quality, air-dried, Bitter Apricot Kernels are organically-grown. Raw Apricot Kernels are not steamed or cooked, which ensures that they retain their rich blend of natural, healthful nutrients such as protein, essential fatty acids, vitamins (such as B1, B6, B17/B-17/Laetrile/Amygdaline, etc.) minerals and other trace elements. We sell our Bitter Apricot Kernels for food items. We process more than 100 Metric Tons of all grades Bitter Apricot kernels. The packaging of Bitter Apricot kernels is available in 50 KG laminated HDPE sacs. Why our Bitter Apricot Kernels?